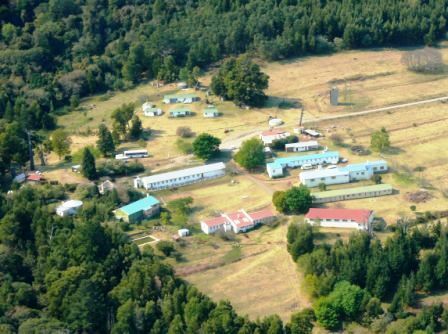 Introduction: We are a registered Non Profit Organisation operating an Outdoor Education Centre at our first venue in Hogsback. (We also have another venue in Grahamstown.) 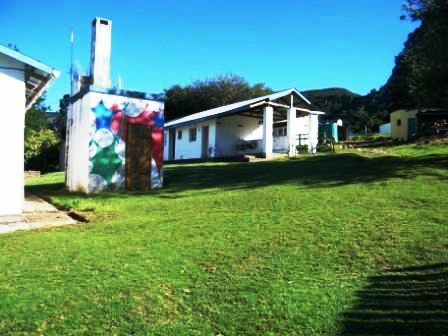 We aim to promote environmental and social awareness, cross cultural appreciation and the development of Life skills our facilities and the natural setting of our centres in order to assist all with a special focus on disadvantaged children. 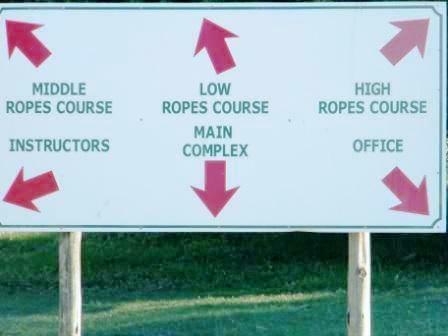 Exclusive use: No, two groups may be on site at same time. 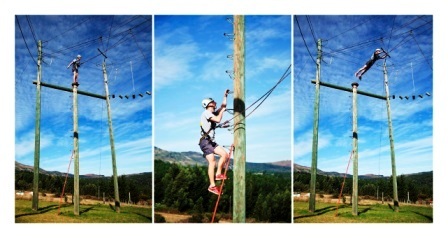 Facilities: Swimming pools, volley ball, high, middle and low ropes course, abseiling, zip wire, climbing walls, orienteering, compass course, hikes to waterfalls, night hike and various other adventure activities. 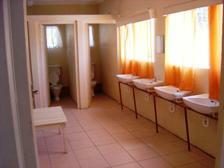 Ablutions: Dormitories have shared bathrooms per gender. Hot water is only available in the evening for the students. adults in their group. The adults accommodation has hot water 24/7. 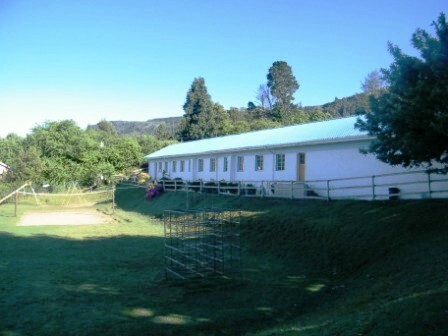 Large recreation hall: (20m x 12m) with no chairs. 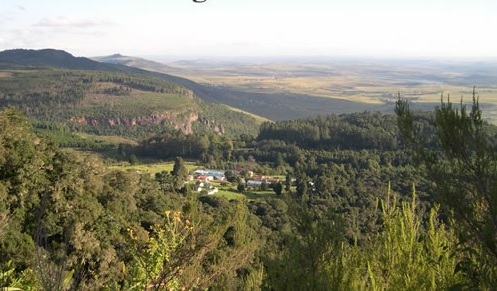 In the Hogsback area: Tourist destination with an outdoor art display, local pottery, a labyrinth and various craft type shops. 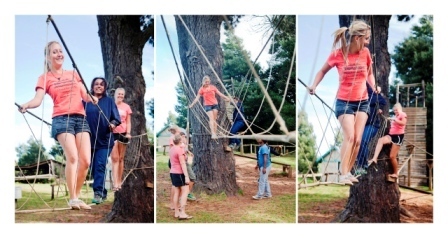 Programmes: Team-building, leadership identification & development, environmental education, fun & adventure / outdoor experience, personal development, conflict resolution. 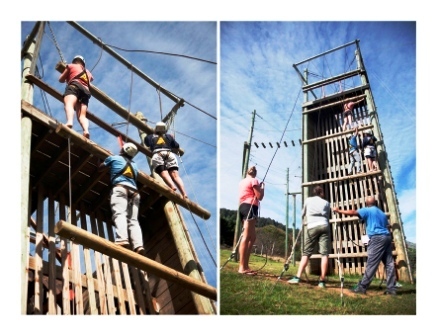 Activities: Swimming pools, volley ball, high, middle and low ropes course, abseiling, zip wire, climbing walls, orienteering, compass course, hikes to waterfalls, night hike and various other adventure activities. Requirements list: Cutlery, plastic crockery are supplied by venue for teachers and learners / youth. 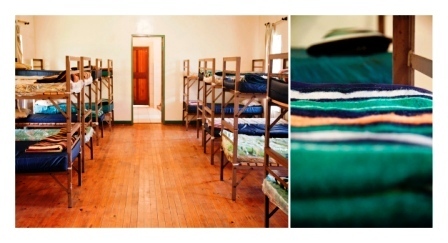 We provide one blanket and one pillow per person all additional bedding and towel will need to be brought with by the client. Weather & Dress: Can be hot in summer and very cold in winter and therefore appropriate clothing for these conditions is necessity. hat, suncream and a wind breaker are a must. All clothes should be rough and tumble wear e.g. not your brand new white levi’s!